For the past couple of centuries, there has been a superstition that when the 13th of the month falls on a Friday, it is a day of misfortune. The origins of this notion are obscure, but in the 14th century, in Chaucer's Canterbury Tales, Friday was considered an unlucky day to undertake journeys. The fear of Friday the 13th has been called friggatriskaidekaphobia because the Norse goddess for whom Friday is named is Frigga, and triskaidekaphobia is Greek for the number 13 and the word fear. There are enough people in the world who are so paralyzed by fear when the 13th falls on a Friday that they avoid their normal routines in doing business, taking flights or even getting out of bed. That makes this superstition significant. Statistically, fewer accidents and reports of fire and theft occur when the 13th of the month falls on a Friday than on other Fridays, because people are preventatively more careful or just stay home. But in the world of fiction, misfortune comes on any day of the week and being murdered is definitely a sign of bad luck. I have a few characters who personify hard luck. 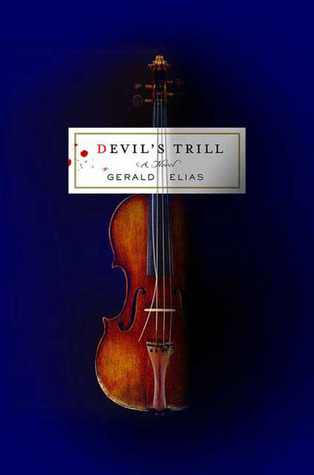 In Devil's Trill, by Gerald Elias, prodigy violinist Daniel Jacobus was on the pathway to a great career as a performer. He had been an extremely talented youngster who, on the eve of his audition for the concertmaster position of the Boston Symphony Orchestra, developed a leakage of blood and fluid into his eye. By some twist of fate, he was carrying the gene for foveomacular dystrophy, which can cause blindness in 24 hours if not treated immediately. Blinded by ambition, as well, he played his audition from memory since he couldn't see the music. He won the position, but despite extensive medical treatments his eyesight failed to return, and the runner-up took his place. Jacobus, after a lengthy period of isolation and withdrawal, declared his intention to be a teacher. In a way, he was given lemons and from them he decided to make music. Unfortunately, he himself remained a lemon. He was sour, tart and bitter. His aim with his students was to create musicians, not just technician performers. His main thrust was to have his pupils perform for a great part of their life, and not burn out as a youth. For this reason, he wanted to put a spoke in the wheels of a certain group of people in the music industry who were most concerned with promoting phenoms, to the young musicians' eventual detriment. 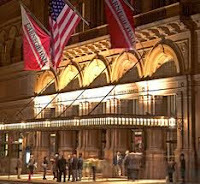 One such event, showcasing 'tween violinists, was the prestigious Grimsley competition, the winner of which would give a concert at Carnegie Hall, using the famed three-quarter-size Stradivarius known as il piccolino. 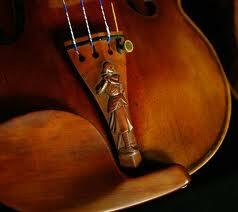 This was an instrument given to another very unlucky man, Piccolino, by his lover, the Duchess. He owned it for about a minute before he was sliced and diced by the angry, cuckolded Duke. The instrument has, since that time, been felt to be cursed. After the competition and before the concert, the lovely violin was stolen. Jacobus was present at the time, and he came under suspicion. He always appeared to be a destitute vagabond, so most people avoided him. He did not spend much time on personal hygiene and was treated often as invisible. 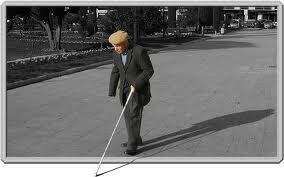 When it suited him, he would do his "blind man's shuffle," which was useful to garner himself some sympathy. It didn't do to underestimate Jacobus, though, for despite his blindness, his others senses were very keen and his mind was sharp. 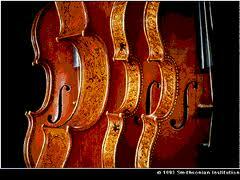 Jacobus teamed up with his friend Nathaniel Williams to find the Strad. Somewhat fortuitously, he had just accepted a new pupil, Yumi Shinagawa from Japan. The first piece of music she played for him was Giuseppi Tartini's Devil's Trill. Jacobus felt she had potential, both as a student and a helper in his quest to recover the special violin. The Devil's Trill is a piece of music that has a back-story. The composer said he dreamed that the devil was sitting at the foot of his bed and he handed Satan the violin to see if he could play it. The notes he heard became part of legend. Daniel Jacobus develops a theory about the theft. He felt the scheme had similarities to a symphony, with its structure, composition, and attention to detail. Jacobus was the perfect person to help in the solving of this crime. This is also a story of how Jacobus begins to shed his cocoon and get involved with life once again. There are mysteries in his past that have troubled him for decades and now must be revealed and put to rest. The next in the series is Danse Macabre. 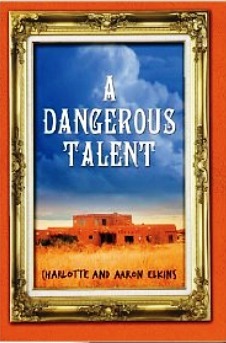 Unlucky events also set the tone in A Dangerous Talent, by Charlotte and Aaron Elkins, and published in March 2012 by Thomas & Mercer. First, octogenarian Henry Merriam hears from an old friend who is happy to find that the reports of Merriam's death have been greatly exaggerated. 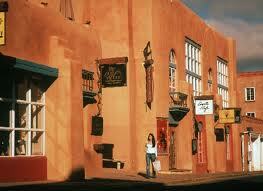 Merriam decides to drive to drive to Santa Fe, New Mexico to prove that he is part of the quick, not the dead. He has the misfortune to be killed on the way, and the reason why this bad luck should be his final fate subsides into the dust of a canyon. Alix London, an art restorer in Seattle, is trying desperately to overcome her own misfortune. She had a promising future in the art world, with a growing reputation as a restorer and "connoisseur." This means she was getting recognition for having a true sense of which art was the real thing. This was destroyed when her father, a prominent New York art conservator, was sent to jail for art forgery. The same brush in many eyes has tarred her, and it has been a struggle to keep a job. 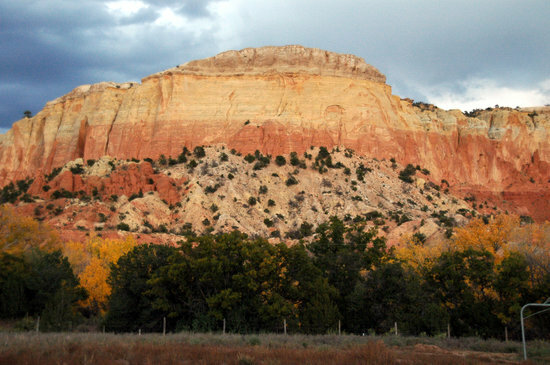 She is now working for a new collector named Chris LeMay, who wants her to go to Santa Fe to authenticate a recently-available Georgia O'Keefe painting from her Ghost Ranch period. 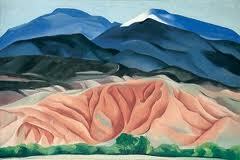 Shortly after her arrival in Santa Fe, even before she can use her art "nose," there is a murder. Alix's name pops up because of her father's notoriety, and it is possible that more bad luck is coming her way. But, in this case, good things do happen to good people and, if she can help the FBI agent on the case, all her luck won't be bad. I really enjoyed the ambience and the characters in this story and it will be a nice bit of good fortune if there are more in this series. For the rest of us, it is a good thing to know that while there are usually three Friday the 13ths in a leap year, today is the last one for 2012. So relax, stay in, read and then the rest of the year will be nothing but good luck. Just wanted to say thank you for your generous review of A Dangerous Talent...and to assure you that Alix London does indeed still live. We're working on no. 2 now. I have enjoyed many of your series over the years, including the ones written with Charlotte. 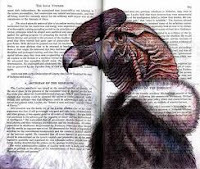 Mysteries with a backdrop of art in any form are always educational as well as entertaining. Golf may be considered an art in itself so I include the Lee Ofsted series in this vein; stories which teach me something. Glad to hear that there is another Alix on the way! I enjoyed the characters and learned a bit more about O'Keefe. What a strange coincidence Jane, it is close to the top of my reading list as well. On my Kindle I have the third of the Lee Ofsted series NASTY BREAKS.